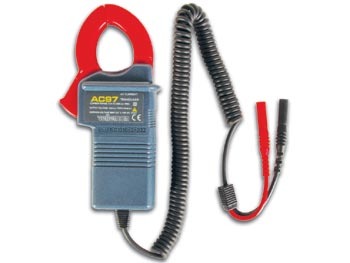 This current transducer can be mounted on almost any digital multimeter. An induction coil transforms the current (0.1 to 300A AC) into a small voltage (1mV AC per 0.1A AC) on the output pins. dimensions: 3.1" x 6.1" x 1.4"